With the diversity of data and meta-data now available, there is increased interest in analyzing multiple studies beyond statistical approaches of formal meta-analysis. Covering an extensive range of quantitative information combination methods, Meta-analysis and Combining Information in Genetics and Genomics looks at how to analyze multiple studies from a broad perspective. 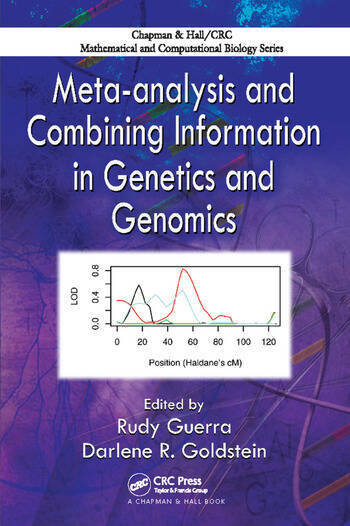 After presenting the basic ideas and tools of meta-analysis, the book addresses the combination of similar data types: genotype data from genome-wide linkage scans and data derived from microarray gene expression experiments. The expert contributors show how some data combination problems can arise even within the same basic framework and offer solutions to these problems. They also discuss the combined analysis of different data types, giving readers an opportunity to see data combination approaches in action across a wide variety of genome-scale investigations. As heterogeneous data sets become more common, biological understanding will be significantly aided by jointly analyzing such data using fundamentally sound statistical methodology. 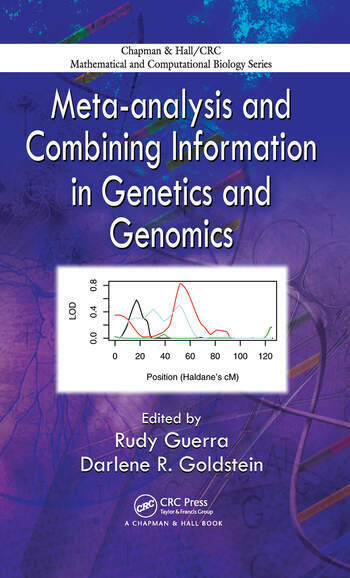 This book provides many novel techniques for analyzing data from modern biological studies that involve multiple data sets, either of the same type or multiple data sources. Rudy Guerra is a professor of statistics at Rice University. Darlene R. Goldstein is a member of the Chair of Statistics research group in the Institut de Mathématiques at the École Polytechnique Fédérale de Lausanne (EPFL). For someone who is interested in either metaanalysis or genomics, this book provides a great overview of both. … Guerra and Goldstein have done a wonderful job in introducing the material and in organizing the collection coherently. … the material is very accessible to readers of Biometrics … this book is well worth having as a reference book for those interested in metaanalysis and/or genomics. … Guerra and Goldstein have done an admirable job putting the collection together. There is a particularly good chapter comparing different methods for analysing two similar microarray studies… The book would be suitable for someone who is new to the analysis of high dimensional genomic data. … the book will be most useful for students and researchers who wish to see what developments are currently in progress in this important area. That said, there is a wealth of material here for the non-expert wishing to move into the area. And, unlike some edited tomes in past ages, the articles here have clearly been carefully meshed to give a coherent picture.